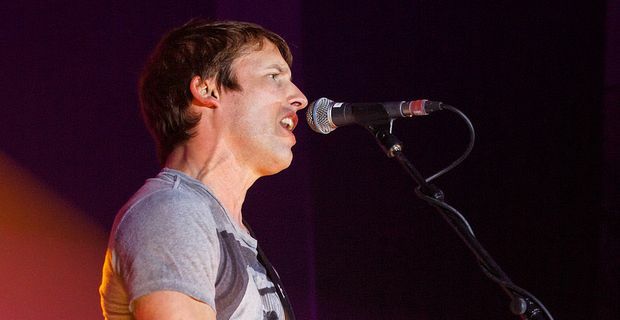 Widespread mourning and grief were conspicuous by their absence at the news that singer-songwriter James Blunt was giving up the music business. Blunt was the Marmite of the music business, with the exception that some people will admit to liking Marmite. "I just want to take some time out for myself," Blunt told The Daily Mail. "I haven’t got any plans to do more songwriting. I have been chilling out since I finished my world tour and I’ve spent a lot of time in Ibiza, where I have a villa." That's nice. Blunt’s status in the industry has diminished somewhat since his debut album Back To Bedlam sold 11 million copies, helped along by the global smash 'You’re Beautiful'. The inescapable signature song might have eventually sparked the Blunt backlash. Blunt had the misfortune of being posh before it became fashionable. He went to Harrow and Elstree schools and is a former officer in the Queen’s Guards, from a privileged background. His mother Jane Blount (yes, she spells her name differently) believes this resulted in unfair criticism. "My son James Blunt, who is hugely appreciated worldwide, receives harsh criticism here," she told Radio 4, "and we have, rather sadly, been aware that it is because of his background." She might have a point, judging by the Twitter reactions to the news. "Just read that James Blunt has quit the music industry. What an utterly outstanding day for the human race" was one of the kinder offerings.